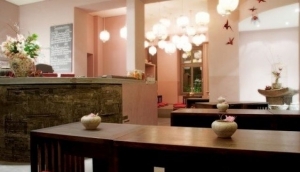 Berlin has many great Asian restaurants to choose from. Vietnamese, Thai and Chinese leading the way with more and more and Korean or Sushi restaurants making the journey into the culinary scene. Remember, when eating Asian food in Berlin, if you’ve eaten the cuisine in its original country of origin, and like it that way, you may need to ask the kitchen for an authentic amount of spice.